Casie Rhodes began volunteering for Special Olympics Rhode Island in 1997 as a track & field assistant coach, through her cousin, Mike St. Ours, who is a Special Olympics Rhode Island athlete. In 2006, Casie attended the Special Olympics USA Games in Iowa as the assistant head coach for the track team. 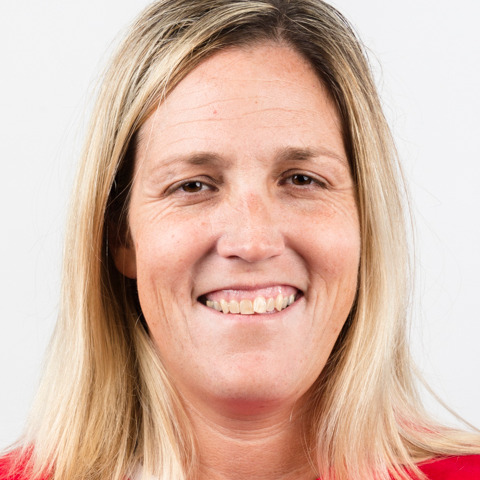 In 2007, Casie started working for Special Olympics Rhode Island as the Director of Sports & Training, creating innovative training workshops for coaches to be the best that they can be in offering the best training for their athletes to prepare them for competition. As a member of Special Olympics Rhode Island staff, Casie has attended USA Games in 2010, 2014 and 2018 as Head of Delegation. She's also traveled to the 2010 China National Games and the 2015 Special Olympics World Summer Games in Los Angeles as the Sports Manager for Special Olympics USA for 4 sports. Casie hopes to prepare the coaches and athletes sharing her extensive sports knowledge with them while keeping it as much fun as possible. Casie is most proud of being able to provide sports opportunities to people with intellectual disabilities all while meeting new amazing people who share the same passion as she does.